All arrived fresh and wonderful, thank you! Stumbled upon this while looking for something different. They are delicious with a little heat and the sweet that goes together perfectly. I devoured this can of peanuts in record time. I love the heat and the sweet. Also, I appreciated the low sodium content. 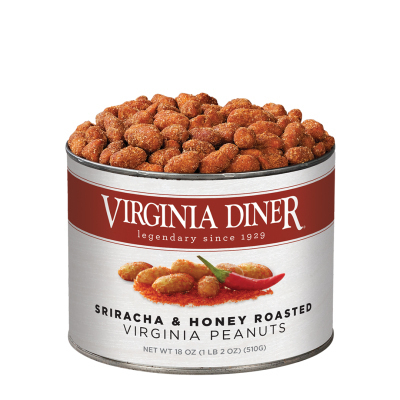 Only reason I did not give 5 stars was because I don't think the heat tastes like sriracha. But I would definitely buy these again. 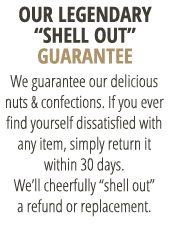 We are big fans of all of your nuts. My parents have gotten your products before and I tried them and thought they were really good. So I decided to buy some for myself. They are very flavorful!! I will definitely get more in the future. Good flavor, not as spicy as I was expecting or wanted. Everything handled as expected, never have experienced any issue over many years of business.